Another holiday open house has come and gone, the elves have come to reclaim their heads (at 12% interest for each day I had them on display) and way too much of the cooking I did for the show being eaten by yours truly. You win this round, sweet tooth. A huge thank you to everyone who helped make the show a success, and an equally large thank you to each of you who made it down to the gallery. I enjoy these holiday shows, as it gives me a chance to think up something ridiculous, like the elf heads and the pumpkin heads (for Halloween) and just have fun making them. I hope all who came enjoyed it too, and remember I'll be open this 23rd of December from 2:00 to 6:00 for those looking for a little something extra in a last minute gift. 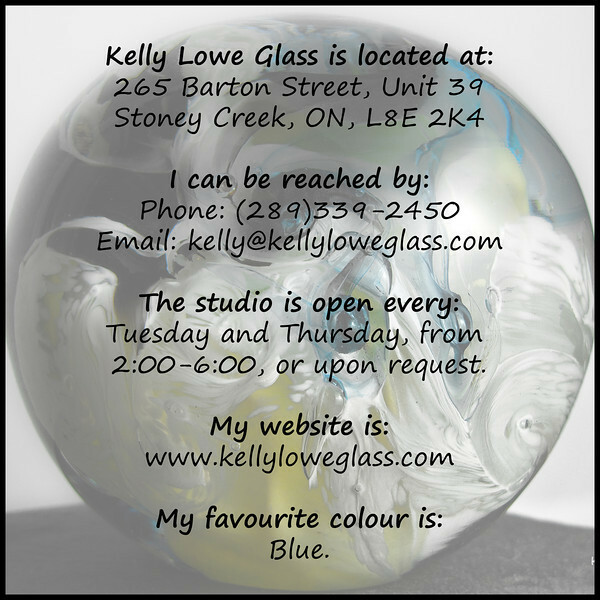 It's the holiday season once again, and here at Kelly Lowe Glass that means it's time for another open house! 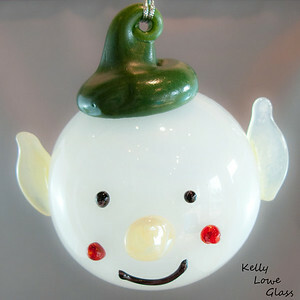 This time I've made some neat holiday themed glass such as icicles, snowmen, ornaments and "elf heads", in addition to some new vases and bowls that I hope you'll enjoy. I'm really proud of the improvements I've made to my studio this year, and I hope you'll come down and see it all! 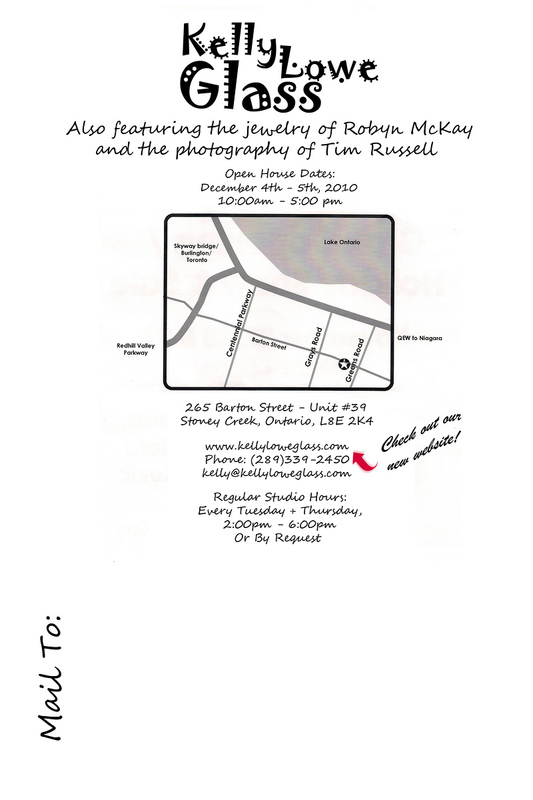 I'm also featuring the fine art photography of a Mr. Tim Russell, and for the curious you can see which of his work will be featured here. As well we have glass jewelry maker extraordinaire Robin McKay back to show off her flameworking skills once again. I hope you'll come down and enjoy their work, since I do! So if you're looking for gifts, decorations, or just to come down and enjoy some locally produced art in a relaxed atmosphere, I invite you to come down to the gallery and hopefully see something you haven't seen before. Click here to see a scan of the invitation those signed up for my mailing list received, which includes a handy map. Or visit my Contact & Location page for more detailed maps and other studio info. Behind the scenes here at Kelly Lowe Glass we've been working on a complete overhaul of the website, and I think it's finally ready to launch! 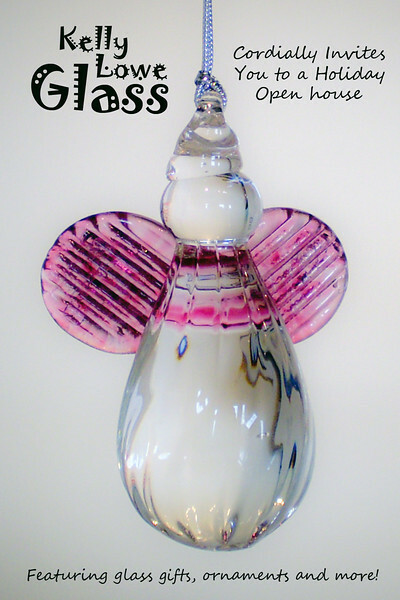 The main advantages of this new site are: #1: a vastly improved photo display, so that we can show you pictures of my work in extreme resolutions for whatever purpose you choose to use it for - I just ask that you leave the "Kelly Lowe Glass" tag intact. #2: This page here, where i can fill you in on what's going on here in the studio - so check back often! And #3: I can run this one by myself. I think this'll allow me to connect better with you guys out there, and give you a better idea of what I do here. As always I welcome any feedback or concerns you may have, on the site or anything else. 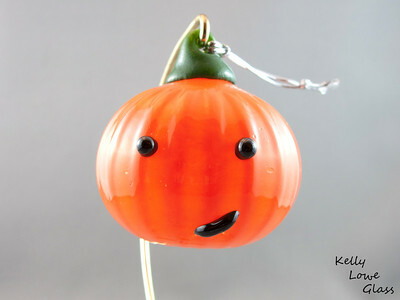 My email is kelly@kellyloweglass, and the telephone number to reach me is (289)339-2450. I hope you enjoy the new site! Well, another open house has come and gone, and I'm really happy with how it turned out. As always it was great to touch base with Hamilton's art lovers, old friends, new friends, and those who were just curious about glass art. I'd like to thank everyone who made it possible: those who cooked, those who cleaned, those who participated and those who came - seriously, thank you so much for all your hard work. I'm planning another open house just before Christmas, and have some seasonally themed pieces planned that I hope you will enjoy! Watch this space, and your mail, for more info! Open house time! Every few months or so I like to throw open the door to my studio, bake up some goodies and invite the world to come and see what I've been up to. It's usually a pretty exciting time for me: time to pull out all the stops on some brand spanking new pieces, give my shop a hard critical eye to see if I can find anything I can improve, and then I get excited. I love open house season. This year is extra exciting for me. Not only are there new pieces that I'm particularly proud of, but I also have the privilege of hosting the work of two other artists: fine art photographer Tim Russell, and flameworked jewelry maker Robyn McKay. 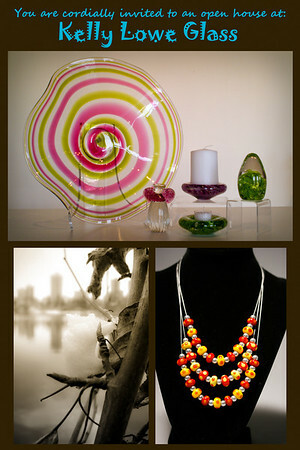 Robyn's work has been a feature at my shop for some time, (although she's got a lot of new stuff ready for the showing! ), but Tim's work is brand new and, in my opinion, works quite well in my studio. 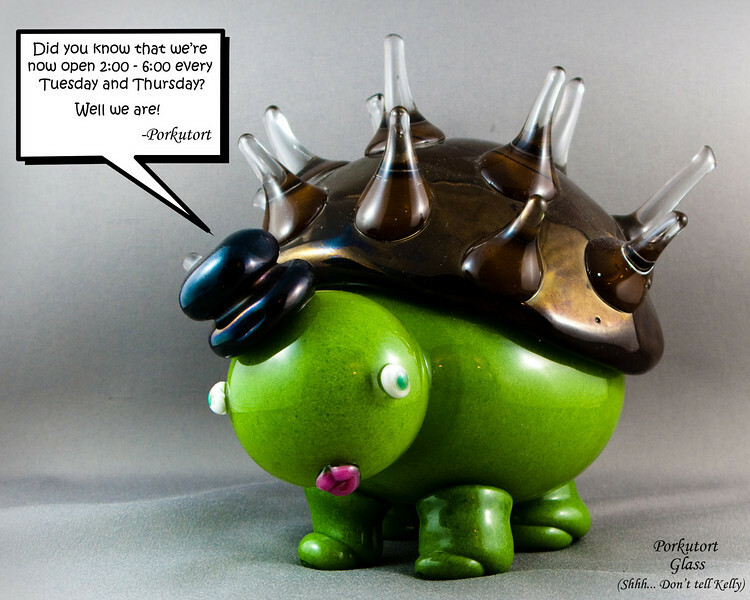 If you're curious and can't wait until the showing, you can click here to see samples of his work, and what's available for the show. So, now that I'm assuming you're all pumped to come down and see some art, I should probably give you the address, shouldn't I?